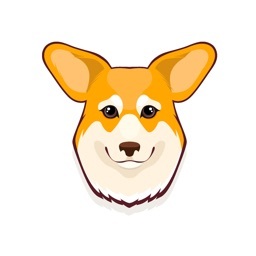 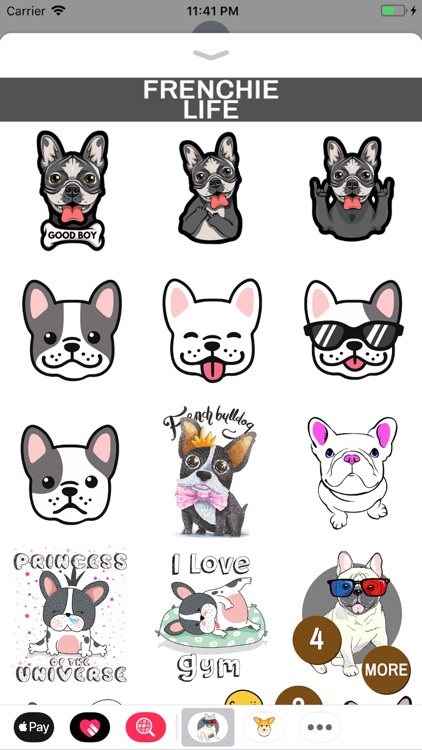 Use this adorable Frenchie - French Bulldog - Emoji Stickers to show how much you love your Frenchie. 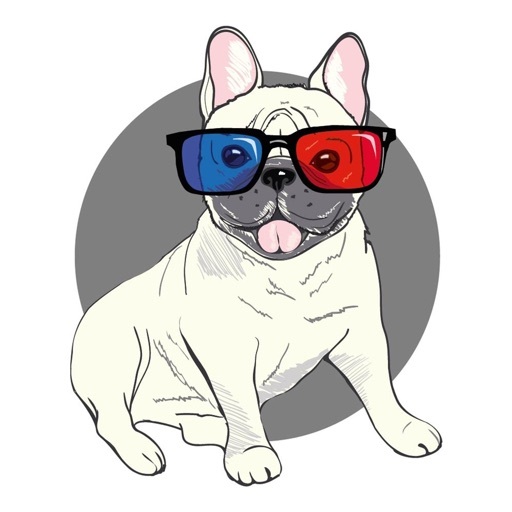 He or she are amazing and now its on yo to let now everyone how much you care for your Frenchie. 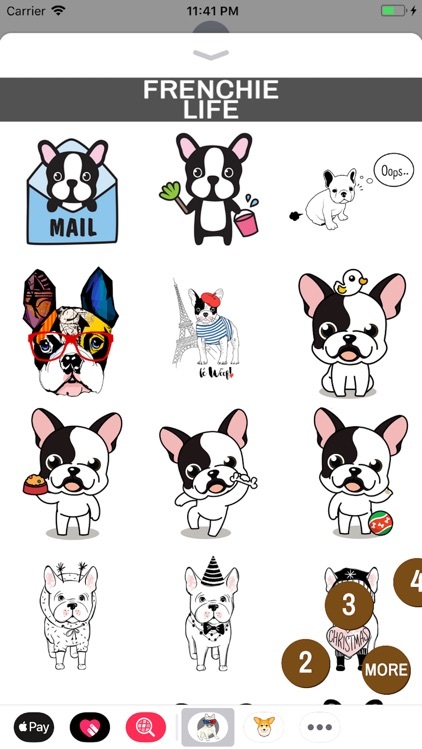 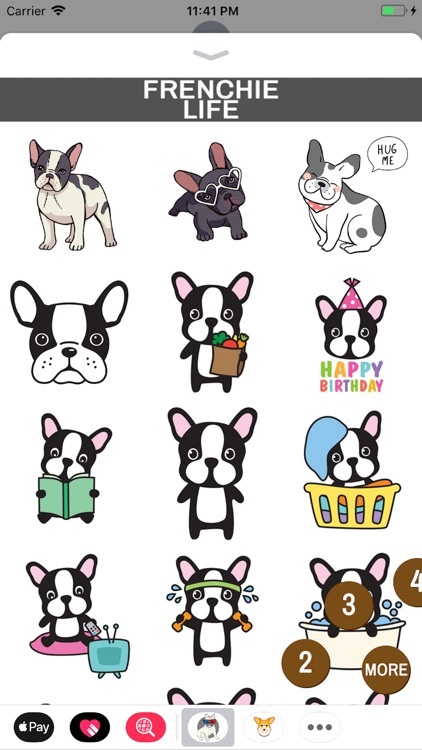 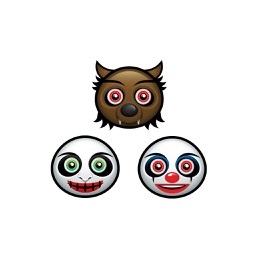 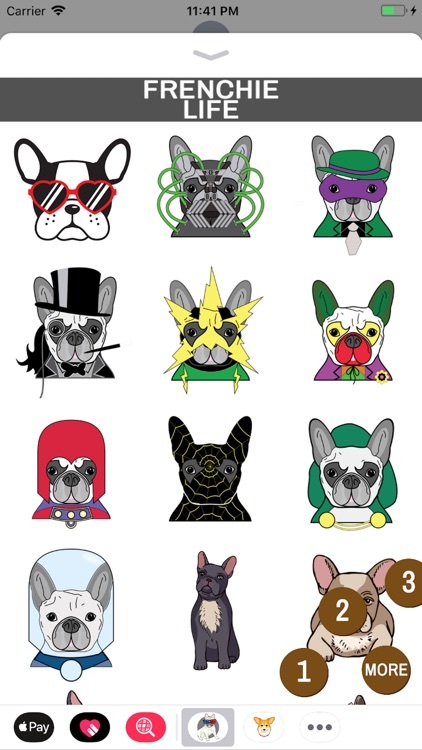 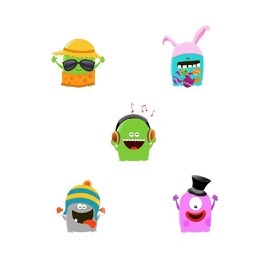 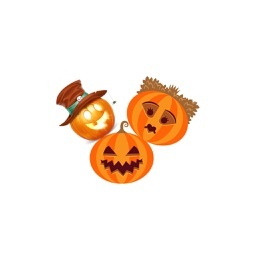 Choose Frenchie Stickers from 4 different categories tapping on More button in right bottom corner.